It has been confirmed that the Doctor Who: The Complete History series will be extended to include all of the Twelfth Doctor stories. Published by Hatchette Partwork, the fortnightly hardback book series takes an in depth look at every epsiode in the show’s rich history, from script to screen, covering every aspect of its writing, production, broadcast and reception. Co-editor of the series, which is published by Hatchette Partwork, confirmed on Twitter that the collection will cover all episodes up until the 2017 Christmas Special, Twice Upon a Time. Wright went on to add that the remaining issues will be spread out to avoid a large helping of Capaldi in one go. We’ll be spreading them out as much as possible with the number of volumes left. This means you’ll need to make a bit more room on your shelf, as the series will now run for 90 issues, rather than the originally planned 80. If that wasn’t enough to excite you, Wright also revealed that there will be a bonus volume covering the spin-offs from the show, including the famously unfinished serial, Shada. We’re doing a final volume of miscellaneous things, but can’t confirm what will or won’t be in it at the moment. Shada I think is a given. 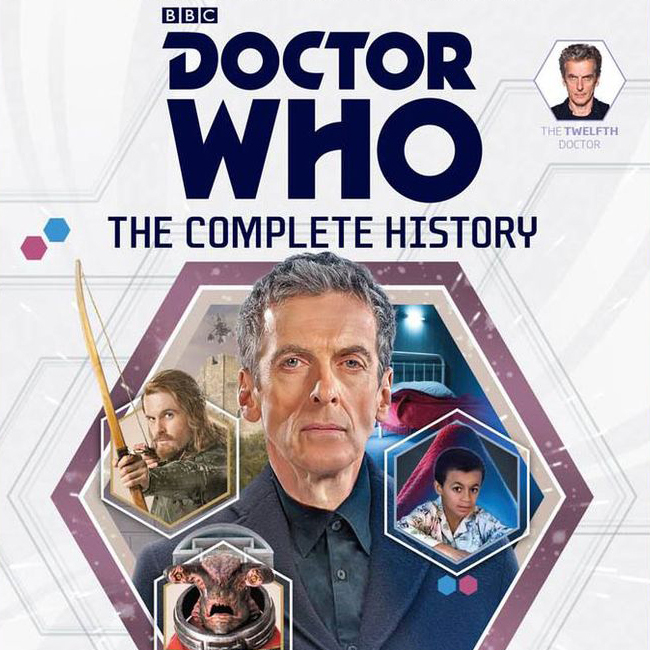 Doctor Who: The Complete History is available as a subscription or individual issues via Hatchette Partwork.